Laughing Jackal has announced that its bringing a new rhythm game, Vibes, to PlayStation Minis on June 8. The game will feature 13 music tracks, including classical, J-Pop, psychobilly, and punk. 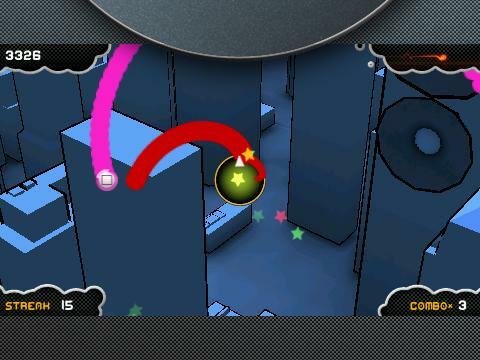 Gameplay looks like it revolves around tapping face buttons on your PS3 controller or PSP as their corresponding icons invade a center target, spilling in from the four corners of the screen. Laughing Jackal is all about the game's "music-video inspired background sequences," which look like over-the-top visualizers, with imagery like ducks, sumo wrestlers, and dancing buildings. It's only $5.49, and it looks like it has potential to be fun, despite the fact that the music in the trailer is kind of eating away at my brain.